BELIZE CITY, Fri. May 26, 2017–The charge of causing death by careless conduct that was brought against Dorian Pakeman, the Director of the Government Press Office, nine months after he knocked down and killed Gardenia mechanic Dean Dawson, 45, between Miles 22 and 23 on the Philip Goldson Highway, while driving his government-issued Isuzu D-Max pickup truck, was struck out this morning when the matter came up for a preliminary inquiry that was to determine if there was a prima facie case that could be submitted to the Supreme Court for an indictment. Pakeman’s attorney, Bryan Neal, made submissions to have the charge struck out on multiple grounds — primarily, however, due to a lack of evidence. Senior Magistrate Sharon Fraser upheld Neal’s submissions after the court prosecutor, Corporal Christopher Smith, said that he would leave the decision up to the court when Magistrate Fraser asked him what was the prosecution’s position regarding Neal’s submissions. Prior to Neal’s submissions, however, Magistrate Fraser took both Neal and Pakeman to task for not informing the court in the proper manner that Pakeman had left the country without the permission of the court, as was stipulated in his bail condition. Apart from the criminal charge against him, Pakeman was also facing two civil lawsuits for Dawson’s death. One of the lawsuits was settled yesterday, Thursday, when Sharla Adolphus, the mother of Dawson’s four young children, signed a non-disclosure agreement with attorneys from the Solicitor General’s office. Adolphus signed the agreement without the approval of her attorney, Dickie Bradley, who declined the offer yesterday to witness her receiving a check for $45,000, an amount that was substantially lower than what he had urged her to accept. Bradley was pushing for a $60,000 settlement. 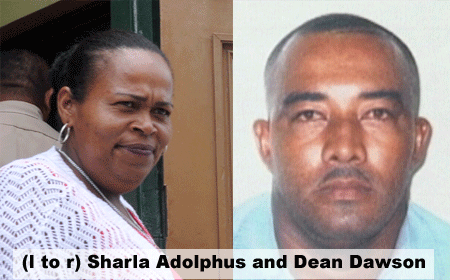 The money that was paid to Adolphus came from the insurance company that provided coverage for the government vehicle that killed Dawson, but the matter was handled through the Solicitor General’s office. Pakeman was also served with another civil claim from Therese Abraham, the mother of three of Dawson’s sons, but according to Neal, that claim was struck out because Abraham did not have the standing to make such a claim. At the conclusion of the hearing this morning, Pakeman did not wait around to answer any questions from reporters. As soon as he was out of the courtroom, Pakeman headed directly to the parking lot and sat in Neal’s vehicle, until he (Neal) had finished answering reporters’ questions. In court, Neal had told Magistrate Fraser that the evidence did not disclose that there is a prima facie case against Pakeman. “We have a situation now where the only evidence against the defendant is a caution statement that he gave to the police. There was no eyewitness. There is no evidence of speeding…When Raul Garcia asked Pakeman at the Ladyville Police Station at what speed he was driving, Pakeman [said] I can’t necessarily recall,” Neal had submitted. “If the prosecution could show no evidence of careless driving, then there is no need to continue this matter,” Neal had told the court. “This case should be stopped at the preliminary inquiry stage. There is no need to waste the court’s resources. So, we are asking that the matter be struck out,” he had stated. 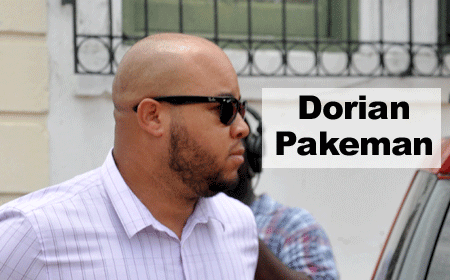 Magistrate Fraser said that she was satisfied that there was nothing in the evidence that was presented which could be sent up to the Supreme Court, and she dismissed the matter, but warned Pakeman that the DPP could bring back the charge against him.